Do you work for a >1000 employee corp? 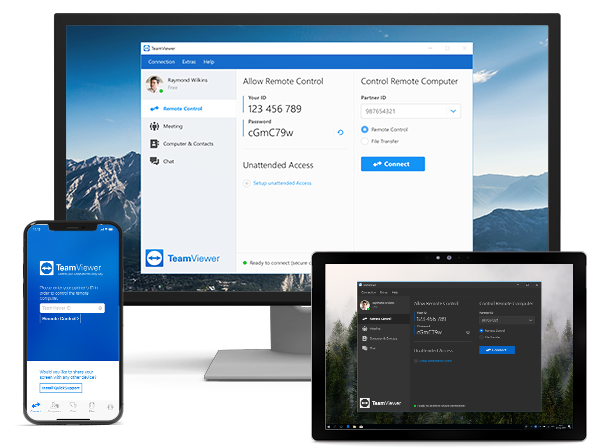 Experience the world standard in Enterprise Remote Connectivity and a new level of security integrated with your corporate logins with TeamViewer Tensor ™SaaS platform. TeamViewer Tensor™ is our cloud-based enterprise connectivity platform enabling large-scale IT management framework deployments quickly and easily, scaling linearly to the needs of your enterprise, providing the industry’s leading connectivity and real-time support tools in a convenient, ready-to-deploy SaaS environment.